Two courses and a soft drink for €6. Now that’s a great deal for this year. 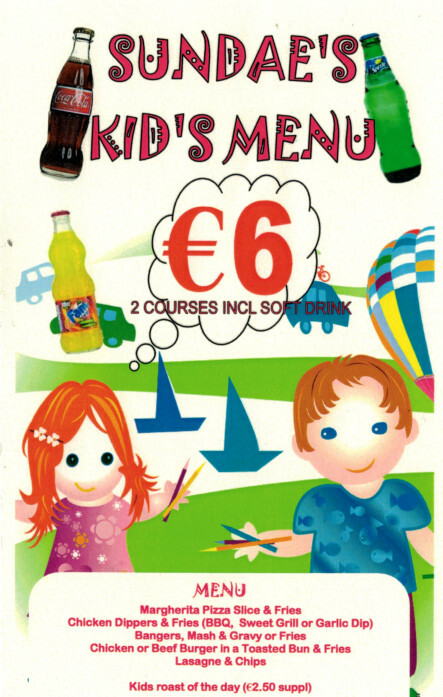 Our new Kiddies Deal Menu is offering excellent value for the kids too. Take the family out for a treat at Murphy’s Pub Templemore. This entry was posted in Murphys Bistro. Bookmark the permalink.